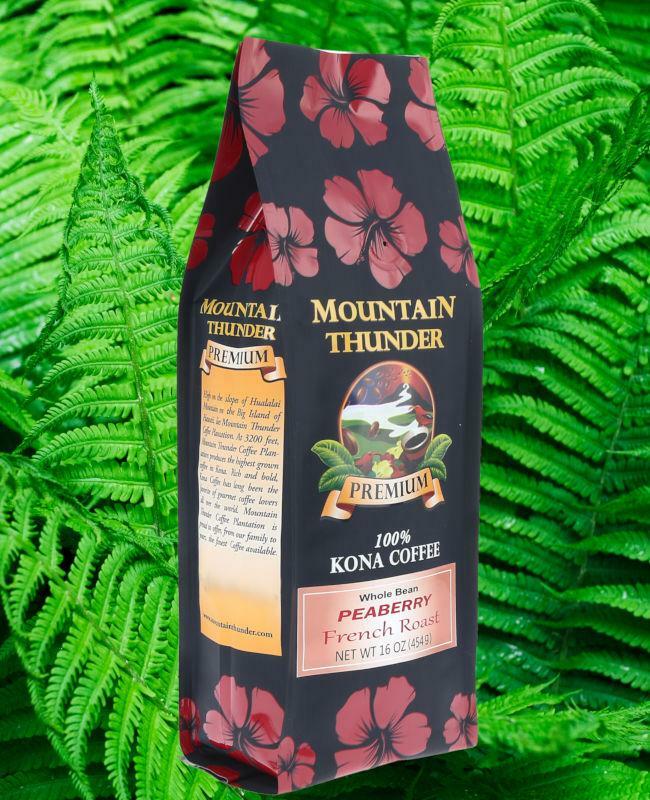 Considered by many to be the ultimate in gourmet Kona coffee, our Peaberry coffee is both rare and highly-prized. Peaberries occur when one of the two bean in the coffee cherry does not develop. This creates one large, egg-shaped bean instead of two half beans. Many coffee aficionados believe that this creates a roasted coffee bean with a more intense fruity flavor and ideal levels of acidity. Only about 4% of all Kona coffee is peaberry. Note that the amount of Peaberry Kona Coffee is very limited and supplies can run out.